While the metabolic syndrome (MS) is being recognized as an important risk factor for intrahepatic cholangiocarcinoma (ICC), the outcomes of liver resection in this context remain poorly described. 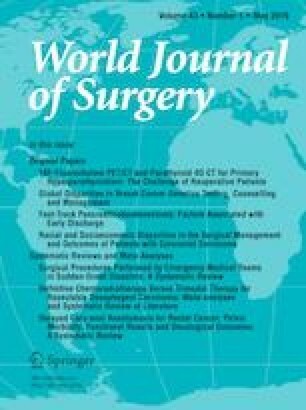 This study aims to report the short- and long-term results of hepatectomy for patients with MS as risk factor for the development of ICC (MS+). All patients undergoing hepatectomy for ICC between 2000 and 2016 at a single center were retrospectively analyzed. The perioperative outcomes of MS+ and ICC patients without MS (MS−) were compared. Among 115 resected ICC patients, 40 (34.8%) were MS+ and 75 (65.2%) were MS−. MS+ exhibited an increased Charlson comorbidity index (5 ± 2 vs. 2 ± 2, p < 0.001) than MS− patients. While operative characteristics did not differ significantly between the 2 groups, MS+ experienced higher rate of major complications (62.5 vs. 29.3%, p = 0.001). On multivariate analysis, MS+ was an independent risk factor of major complication (HR 2.86, 95% CI 1.07–7.60, p = 0.036) and major cardiorespiratory complication (HR 4.35, 95% CI 1.50–12.62, p = 0.007). Pathological analysis revealed that MS+ displayed higher rates of non-alcoholic fatty liver disease (60.0 vs. 31.1%, p = 0.003) and non-alcoholic steatohepatitis (25 vs. 5.4%, p = 0.005). MS+ was independently associated with decreased risk of recurrence (HR 0.47, 95% CI 0.26–0.85, p = 0.001). MS+ accounts for 35% of resected ICC patients. The existence of significant cardiovascular comorbidities increases postoperative morbidity and requires specific management. The online version of this article ( https://doi.org/10.1007/s00268-019-04996-y) contains supplementary material, which is available to authorized users. None of the authors have any conflict of interest of any kind.